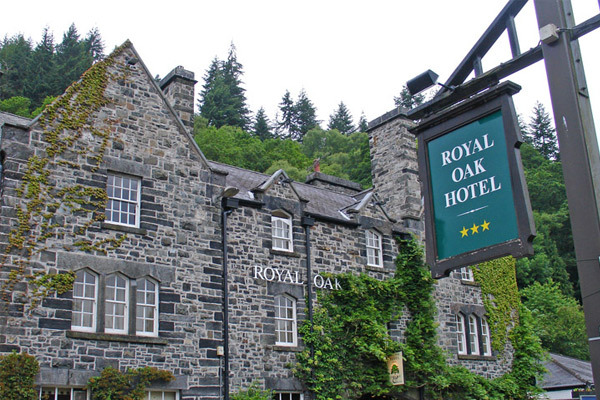 One of the Snowdonia’s premier hotels, The Royal Oak Betws-y-Coed has become the latest organisation to include a ‘Big Hanna’ In-vessel composter supplied by Tony Team into its waste management programme. “Think globally, act locally” is the hotel’s motto, with every effort being made to reduce environmental impact. Food is sourced from companies within a 20 mile radius in order to support the local economy. The hotel already recycles glass, paper, card, cans & plastic locally reducing the waste collection vehicle visits to site & cutting carbon footprint in the process. As part of their on-going environmental strategy The Royal Oak decided to tackle food waste, a major contributor to global warming. Selected from a number of other applicants for the Rural Conwy Hotel Composting Pilot Project, The Big Hanna model T75 was installed this month, using a local supplier for the wood pellets needed to aid the biological process. The short term aim of the project is to eliminate food from landfill, however by reducing the weight of waste collected from the hotel, this has also given the added benefit of reduced waste costs. The long term plan is to use the compost to help cultivate the hotels own home grown produce, a key marketing tool that their customers will appreciate & enjoy. With low energy & maintenance costs, The Big Hanna is available in 5 sizes capable of handling from 75 to 2400 kilos of food waste weekly, producing environmentally peat free compost in 6-10 weeks. For more information about Tony Team’s full product range, including bin compactors, bag compactors, card balers & glass crushers call Victoria Oates on 01629 813859 or e-mail sales@tonyteam.co.uk.